DAVID BOWIE. 2015 REMASTERED. THE MAN WHO SOLD THE WORLD. Black Country Rock. The Man Who Sold The World. Saviour Machine. The Width Of A Circle. 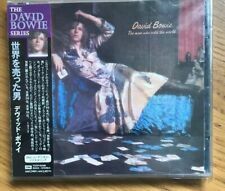 David Bowie ‎ The Man Who Sold The World EMI ‎TOCP-65306 Remastered Japan MINT OBI. David Bowie ‎– The Man Who Sold The World. Series:The David Bowie Series – 2. Label:EMI ‎– TOCP-65306. 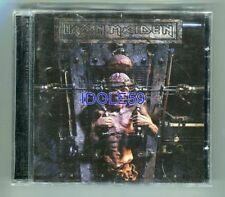 Manufactured By – Toshiba EMI Ltd.
NEW & SEALED DIGIPAK . David Bowie ‎– 1. 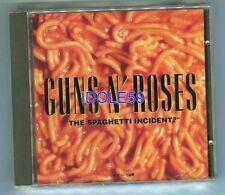 Outside CD - 2016 Reissue - Rock - BRAND NEW/SEALED! David Bowie ‎– 1. They are not sealed, the inlays and the discs may have been removed for photographing and then replaced. Video will open in a new window. 1 Leon Takes Us Outside. Copy this link into your browser. The Stars (Are Out Tonight) - DAVIE BOWIE. Poison - ALICE COOPER. 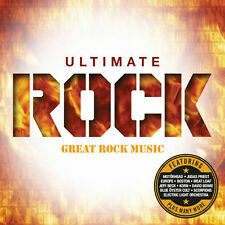 ULTIMATE ROCK. God Gave Rock and Roll to You - ARGENT. 4 CDS OF GREAT ROCK MUSIC. Black Magic Woman - FLEETWOOD MAC. Burning Heart - SURVIVIOR. 1976 TOUR REHEARSALS. DAVID BOWIE. PNE Coliseum, VANCOUVER (Canada), 2nd february 1976. Original japanese DVD video Colour NTSC (approx. ). Zoom > Blackstar - David Bowie (Album) [CD]. Blackstar - David Bowie (9.57). 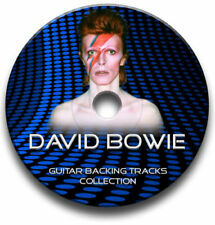 Product Blackstar - David Bowie (Album) [CD]. 'Tis a Pity She Was a Whore - David Bowie (4.52). Lazarus - David Bowie (6.22). Of Discs: 3 disc(s) Studio / Label: Code 7 - Protus UK Release Date: 19 Oct 2018. Disc 1 1 Terrible Lie 4.41 mins. Disc 1 10 Down in It 4.16 mins. 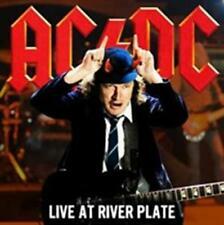 Disc 3 5 Look Back in Anger 4.32 mins. Disc 3 17 Under Pressure 4.02 mins. David Bowie - Tin Machine. Title:David Bowie - Tin Machine. Artist:David Bowie. Your item will be previously owned but still in great condition. The disc will play perfectly without interruption and the case, inlay notes and sleeve may show limited signs of wear. Combing contemporary and retrospective artists could always be controversial and disastrous, but in the right hands, it could equally prove inviting. Back with Brian Eno and riding high with The Hearts Filthy Lesson, his 1995 collaboration with new industrial gods NIN was both brave, and rewarding for all. Music from the Blackstar single has been featured in the opening title credits and trailers for the new TV series The Last Panthers. CD housed in a special 6 panel digipak design with 16 page color booklet with special varnish. Alternative Rock, Industrial, Art Rock. 3 × CD, Album, Remastered, Unofficial Release. mint sealed new. 12 Oct 2018. David Bowie ‎– ★ (Blackstar). 1 ★ (Blackstar) 09:57. 7 I Can't Give Everything Away 05:47. 27th studio album by the legendary English musician, and the first to feature new material in ten years. Following the unexpected release of the single 'Where Are We Now?'. The cover art for the album is an adapted version of Bowie's 1977 album 'Heroes'. Loud and proud as always, Motörhead’s new album Under Cöver is due August 2017 via Silver Linings Music/Motörhead Music. The ultimate raucous rock'n'roll rager, with the boys reminding everyone that they even did other people's songs better than they did! David Bowie : The Man Who Sold the World CD (2015)Title: The Man Who Sold the World Artist: David Bowie Genre: Rock/Pop|Rock Duration: 41 mins Format: CD / Album Type: CD No. of Discs: 1 disc(s) Studio / Label: Rhino UK Release Date: 25 Sep 2015. David Bowie ‎– Lodger CD - REMASTERED / ENHANCE Issue - BRAND NEW/SEALED! Great collaboration between Bowie and Eno and the most Eno influenced album of the Berlin trilogy in our opinion. David Bowie - Look Back In Anger (Official Video). They are not sealed, the inlays and the discs may have been removed for photographing and then replaced. Ziggy Stardust (Live) [Stereo]. All The Young Dudes (Live) [Stereo]. The Width Of A Circle (Live) [Stereo]. Lets Spend The Night Together (Live) [Stereo]. Cracked Actor (Live) [Stereo]. My Death (Live) [Stereo]. St October. Combing contemporary and retrospective artists could always be controversial and disastrous, but in the right hands, it could equally prove inviting. Back with Brian Eno and riding high with The Hearts Filthy Lesson, his 1995 collaboration with new industrial gods NIN was both brave, and rewarding for all. David Bowie : Reality (Special Edition) CD (2003)Title: Reality (Special Edition) Artist: David Bowie Genre: Rock/Pop|Rock Duration: 57.30 mins Format: CD / Album Type: CD No. 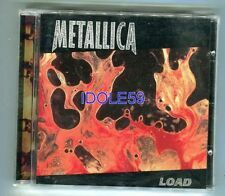 of Discs: 2 disc(s) Studio / Label: Sony Music UK Release Date: 15 Sep 2003. The Width of a Circle (2015 Remaster). Black Country Rock (2015 Remaster). After All (2015 Remaster). Running Gun Blues (2015 Remaster). Saviour Machine (2015 Remaster). The Man Who Sold the World (2015 Remaster). Aladdin Sane (2013 Remastered Version). You Pretty Things (2015 Remastered Version). Starman (2012 Remastered Version). 1984 (2016 Remastered Version). Ashes to Ashes (Single Version) [2017 Remastered Version]. THE CD,CASE & COVERS ARE ALL IN GOOD CONDITION. LOADS MORE CD'S LISTED. Diamond Dogs (1999 Digital Remaster). 1984 (1999 Digital Remaster). We Are The Dead (1999 Digital Remaster). Rebel Rebel (1999 Digital Remaster). Sweet Thing (Reprise) (1999 Digital Remaster). 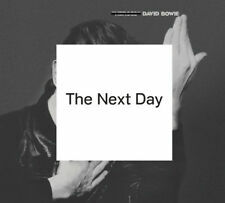 David Bowie - ChangesTwoBowie - New CD Album - Pre Order - Released 20th April 2018. This follow up to David’s hugely successful first Best Of compilation CHANGESONEBOWIE, has not officially been available since the late 1980’s. Sub-Genre Hard Rock. Genre Rock. Occasionally release dates change. Wild Is The Wind (2016 Remastered Version). Fashion (Single Version) [2017 Remastered Version]. Sound and Vision (2017 Remastered Version). Ashes to Ashes (Single Version) [2017 Remastered Version]. WISHDISCS - RARE DVD CD SPECIALIST. Genre Rock. L'outil libre de liste. Of Discs: 2 disc(s) Studio / Label: EMI Music UK UK Release Date: 06 Sep 2010. Disc 1 3 Ziggy Stardust 3.19 mins. Disc 1 5 Wild Eyed Boy from Freecloud 3.15 mins. Disc 2 1 Introduction 1.01 mins. Disc 1 11 My Death 7.20 mins. Rare David Bowie Tin Machine CD Album Case and Booklet. Suit Bowie Rock Collector, Enthusiast or Gift. Made in Japan CP32 5860. collectable cd pieces that can only gather value as the years go by! Changes (2015 Remaster). You Pretty Things (2015 Remaster). Eight Line Poem (2015 Remaster). Life on Mars?. (2015 Remaster). Kooks (2015 Remaster). Quicksand (2015 Remaster). Fill Your Heart (2015 Remaster).